Male endemic Galapagos Carpenter Bee (Xylocopa darwini). Photo: Adriano Spielmann, CDF, 2012. Distribution map of specimen collection localities or observation records for this species in our collections database. Linsley, E.G. Usinger, R.L. (1966) Insects of the Galápagos Islands. Proceedings of the California Academy of Sciences Fourth Series 33(7): 113-196. Cockerell, T.D.A. (1935) The Templeton Crocker Expedition of the California Academy of Sciences, 1932. No. 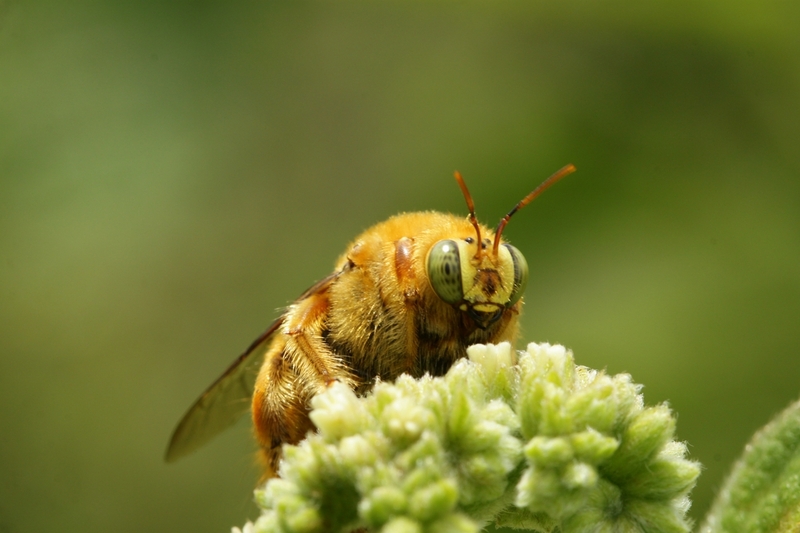 28 The Carpenter Bees of the Galapagos Islands. Proc. Calif. Acad. Sci., Fourth Series, 21(28): 379-382. Parkin, P. Parkin D.T., Ewing, A.W. & Ford, H.A. (1972) A report on the arthropods collected by the Edinburgh University Galapagos Islands Expedition, 1968. The Pan-pacific Entomologist 48: 100-107. Jaramillo, P. Trigo, M. M., Ramírez, E. &Mauchamp, A. 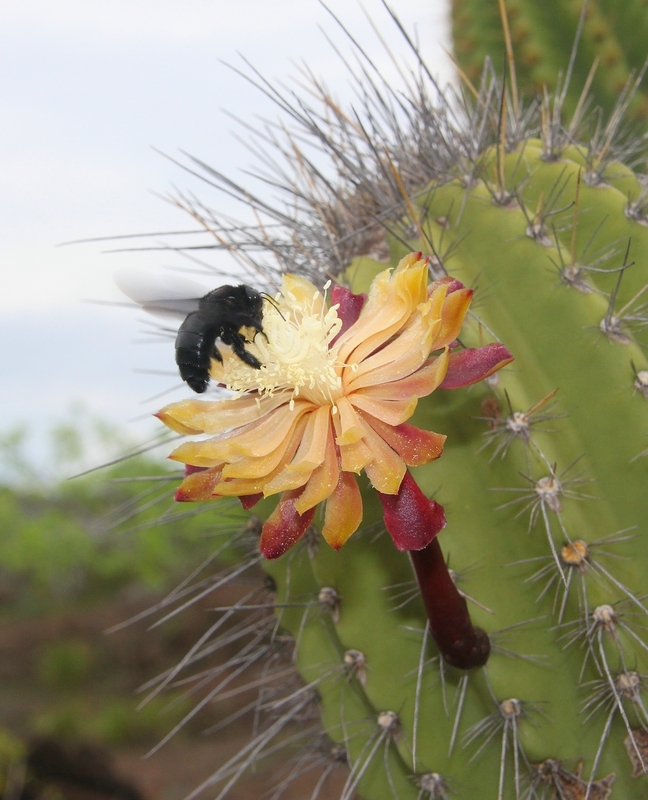 (2010) Insect Pollinators of Jasminocereus thouarsii, an endemic cactus of the Galapagos Islands. Galapagos Research 67: 21-25. Abedrabbo, S. (1991) Nueva Avispa Introducida en las Islas. Carta Informativa 31: 4. McMullen, C.K. (1987) Biologia reproductiva de las Angiospermas de las Islas Galapágos. Pg. 39 - 52. Memorias: Taller sobre investigación Botànica y manejo en galapágos.